East Coast Dune Buggies - What is a Dune Buggy, Anyway? 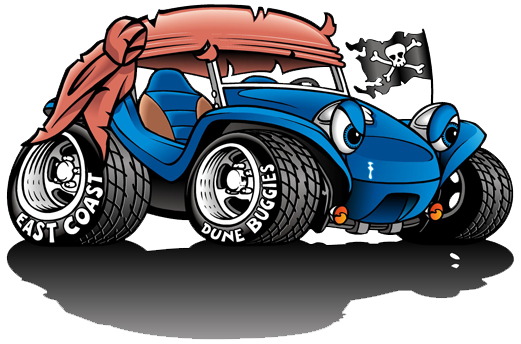 East Carolina Dune Buggies/eastcoastdunebuggies.com is in no way representing or affiliated with Volkswagen of America, or Volkswagen of Germany. Copyright © 2011 East Coast Dune Buggies/eastcoastdunebuggies.com. Any unauthorized use of the materials or logos/images on this site is stictly forbidden. 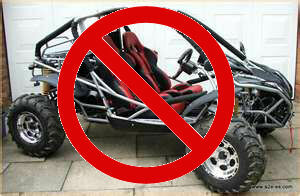 What is actually meant by the term "dune buggy"? Actually, it can mean different things to different people, but for clarification and for the sake and purpose of this particular website, we are referring to street legal, non-factory assembled, fiberglass-bodied vehicles; most of which are mounted on an air cooled VW pan/chassis (or similar tubular design), with a rear engine air cooled VW or similar type powerplant (yes, I know that there are exceptions). 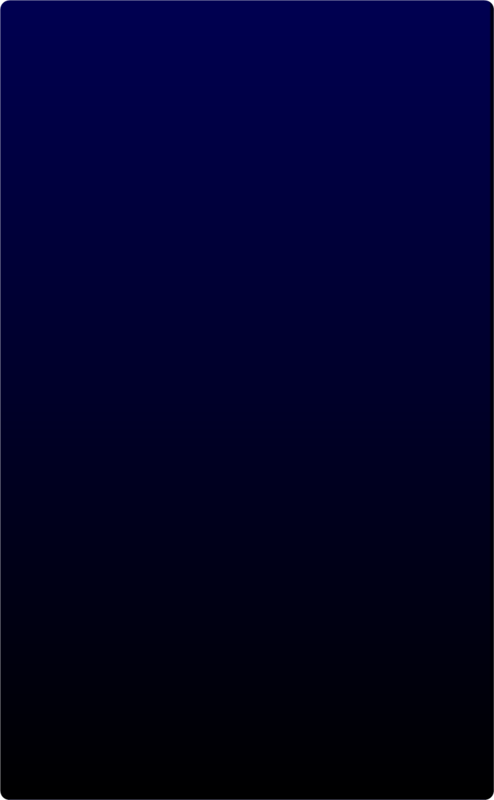 This website is NOT intended to be associated with or promote off-road ATVs or the beefed-up, glorified go karts with roll cages; those guys can go out and get their own website! If you take the time to read the several posted articles on the history of the fiberglass dune buggy, you will probably realize that its beginning was a real grass roots effort. That's the beauty of these things; they can be built or modified to reflect the owner's personality or vision. Decisions are made every day (sometimes based on a concept, sometimes by finances, sometimes peer pressure, sometimes all of the above) on body styles, seats, wheels and tires, dash layouts, head lights, tail lights and many other aspects of the build or modification itself. 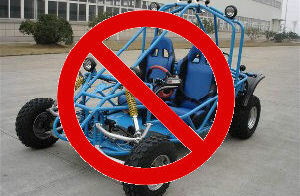 Despite objections from a few self-appointed "purists", there is no absolute "right" way to either build or modify a fiberglass dune buggy, as long as considerations of safety, function, longevity, proper maintenance, and common sense are all applied. Early on in my build, and as I was referring to the forums for advice, I would stumble across a similar phrase such as "No no no, Bruce (Meyers) intended for that to be done this way, or that way........" I call BS on that way of thinking. I believe that Bruce got off on the fact that others attempted to take his basic build ideas and take them into different directions; some he appreciated, while some might be considered on reflection to be bad ideas. But I do believe that Bruce appreciated that those he inspired were using their imaginations in ways to piggyback off of his original concept. So, I do hope that you enjoy your visits to East Coast Dune Buggies, and that you find the information contained within to be both informative and helpful in your search for more knowledge and insight. Feedback is always welcome, and greatly appreciated. 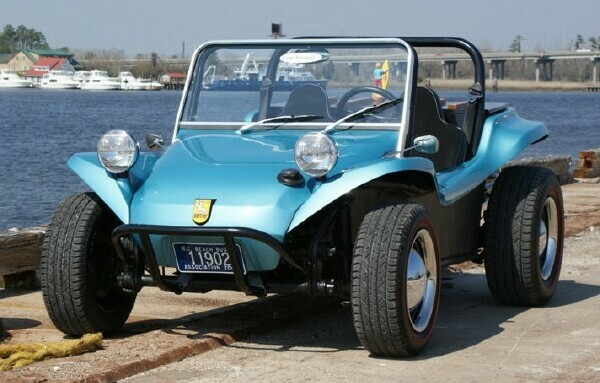 Meyers Manx Dune Buggy down along the riverfront in Wilmington, North Carolina - YES!